Open Fields is the title of this year’s international conference taking place in the framework of the annual RIXC Art Science festival in Riga. It brings together international scholars and artists, working at the intersection of arts, humanities and science. Open Fields will focus on artistic research, the changing role of arts, its transformative potential, and relation to the sciences. This call for participation invites contributions and conference paper proposals by scholars, artists, artists-researchers, art and media theorists, data designers and critical engineers, as well as doctoral students, and scientists from different Fields – biology, ecology, environment, digital technologies, renewable energy, etc., who are engaged in experiencing the transformative potential of arts. For the exhibition and conference, we are looking for research that is located in the contested territory between academic knowledge production and independent creative practices. Open Fields will be investigating the use of data visualizations and other mappings of the contemporary. It will look into areas such as open commons, the future of social interaction, data representation and visualisation, critical design, sustainable infrastructures, eco-aesthetics, techno-ecologies, bio-hacking and other techniques of a transformative potential. No Field is excluded, yet there should always be a connection with art; it is highly likely that art works and conference papers will touch on several Fields, not one. It is such an enhanced understanding of transdisciplinarity that drives this undertaking. Research Questions: How art and other creative practices can meaningfully contribute to the environmental, technological and scientific challenges of our time? What kind of new knowledge can be created through artistic practice that collaborates with science, technology and other disciplines? And how to deal with contemporary aesthetics, which has undergone dramatic changes during the past decades and keeps changing again as influenced by current post-media situation, data visualization and other contemporary conditions? The Conference also will feature “Playing Fields” session on contemporary taxonomy, maintaining a connection between the exhibition and the conference. It also will include “Open Fields – Book Review” (PechaKucha) session, providing an opportunity for the speakers to present their new books for other participants and the audience. * Exhibition: The Open Fields conference will be complemented by the exhibition taking place in the new Exhibition Hall of the National Library of Latvia. Partly curated, partly peer-reviewed, the Exhibition will represent works by artists, artists-researchers and data designers, who are challenging the notion of art and contemporary aesthetics by moving across, bringing together and converging different knowledge, various media and diverse Fields, as well as using scientific, cultural and social data as new artistic medium, and interpreting them in a new and meaningful ways. The Exhibition will be open from September 29 – November 6, 2016. We welcome proposals by scholars, artists, artists-scholars, designers, PhD researchers, curators, media theorists, art historians, science philosophers, cultural innovators, bio-hackers, critical engineers and data designers, as well as scientists from different Fields – biology, ecology, environment, digital technologies, renewable energy, and others, who are engaged in the transformative potential of arts. * and short author’s biography (160 words). Partly curated, partly peer-reviewed, the Festival Exhibition welcomes proposals by artists, artists-researchers, artists-engineers, data designers, as well as practice-based doctoral students, who are challenging the notion of art and contemporary aesthetics by moving across, bringing together and converging different knowledge, various media and diverse Fields, as well as by those, who are using scientific, cultural and social data as new artistic medium, interpreting them in a new and meaningful ways. Additional material, if the files are larger than 5MB, should be sent via wetransfer.com. Following the last year’s successful launch of Renewable Futures (renewablefutures.net – the biannual travelling conference series) – this year RIXC with its European partners from Changing Weathers project, and other collaborating institutions and universities from the Baltic Sea region and Europe, are introducing Open Fields, aiming to develop it towards an annual Riga based gathering for the discussion on artistic reseach, the changing role of arts in societies, art’s transformative potential, and relations to sciences. * The venue of the conference and exhibition: the new building of the National Library of Latvia (http://www.lnb.lv/en/about-library/nll-building). * Support: EU Program Creative Europe, the State Culture Capital Foundation of Latvia, Riga City Council, the Ministry of Culture of the Republic of Latvia, and others. This entry was posted in Art, Conferences, Design, Graphic Design, New Media, Photography, Science, Seminars, Theory on May 25, 2016 by Helinä Kuusela. Artists and makers negotiate and sustain their identities and existences through their practices in spite of the challenges they face. These narratives reveal how the qualities of life and work environments impact their art practices. Just as art-making offers ways to ‘work through’ particular life challenges, narratives offer ways to make sense of difficult circumstances. Narratives of empowerment and care come about through art practices, making and storytelling, offering women ways to cope with their realities and come to terms with the marginalities that they encounter. Art is a medium that enables the shaping of identities of marginalised women, while it also serves as a tool to process relationships within the communities they live in. Female artists may move from one role to another, be it spouse, mother, researcher, professional, teacher, artist, maker or friend. As a result, they are continuously navigating identities and marginalities as a means to cope within their communities. This seminar will discuss how art and narratives function in social realms and what role stories play in socially sustaining artists and their making practices. The seminar themes explore the uses of practice-based research, art process and their outcomes. Nimkulrat discusses the importance of documentation and reflection in practice-based research (2007). Practice-based, or practice-led research, is a widely used research approach in art, based on the idea that practice uniquely contributes information to research in ways that are not possible through other investigative approaches. Multiple concerns are raised around practice-based research, such as the process being predominantly dependent on subjective frameworks, thus not contributing to the generation of new knowledge (Koskinen, 2009). Yet, practice-based research has established its own path in design and the arts. A number of methodological enquiries have been published, bolstering the validity of practice-based research (Mäkelä and Routarinne, 2006; Nimkulrat and O’Riley, 2009; Mäkelä and Nimkulrat, 2011). How do women artists define the marginal? What are their art-related coping mechanisms? How do women cope with fluid identities and how can they benefit from identity shaping processes in marginal conditions? How do they transfer themselves from one role to another? How do women artists visualise and communicate their identities within marginal conditions? Can new technologies and media enable the shaping of identities in marginal conditions? How do women artists discuss their roles within communities using art processes? Can art and its related processes empower communities? How does art contribute to interventions within communities? The seminar presents keynote lectures from Professor Nithikul Nimkulrat from the Estonian Academy of Arts, Professor Jaana Erkkilä and Professor Eija Timonen from the University of Lapland. Submission: Short notes of a maximum of 2000 words excluding references will be double blind reviewed and published digitally as part of the seminar proceedings. Email your short note to junior researcher Daria Akimenko (daria.s.akimenko@gmail.com) by August, 15, 2016. The seminar will go along with an artistic workshop that will take place 5 – 8 December 2016 at the University of Lapland. (Although the 6th of December is Finnish Independence Day and a public holiday, participants are welcome to continue their contributions.) The workshop will engage local female artists and makers of different disciplines in interventions, collaborative work and installations. The working themes and questions of the workshop are similar to those of the seminar. The artistic outcomes will be exhibited at Arktikum, galleries Katve 1 and 2, as well as in selected public locations. Participation: If you are interested in joining the workshop you are invited to submit your CV and an abstract of not more than 500 words outlining your project proposal and artistic media. The organising committee is looking for creative and inventive projects with no restrictions on project formulations. Email your CV and abstract to junior researcher Daria Akimenko (daria.s.akimenko@gmail.com) by August,15, 2016. This entry was posted in Art, Conferences, Practices, Science, Seminars, Theory on May 24, 2016 by Helinä Kuusela. Whether it is in relation to an activity, an event, or an item of knowledge regarding a particular subject matter, interpretation refers to our capacity to understand and reflect about something. As more and more of our every day life and activities shift to the virtual dimension, there is a need for critical dialogue and reflection about our material and cultural environments in order to understand how the ‘digital turn’ is altering our sense-making capabilities. In this two-day seminar organized by the Department of Media (Media Lab) at Aalto University we present a range of methods and tools that can be used to analyze narratives resulting from the research process, including first-person accounts. We also explore how narrative analysis can be used to support activities such as the reading and authoring of new narratives as well as the uncovering of meaning not explicit in the text. Additionally we present the notion of semiosphere as a framework to envision how the cultural heritage narratives resulting from such interpretative processes intermingle in particular digital ecosystems in order to reveal important aspects about collective identities and cultural dynamics. 10:30–12:00 Hands on session. Participants work in groups. Our current human modes of action are related to identities, social roles, and context (in space and time) that, as modes of action, become externalized and made present in the tangible and intangible artefacts of our making. These cultural forms however, not only exist diachronically but also emerge dynamically and synchronically as simultaneities from within the relationships of all the system’s elements. One of the challenges that a researcher faces is that of unfolding all the concurrent processes with their respective articulations and interpretations (viewpoints or perspectives) while maintaining such forms beyond the data- gathering process. The session will present an experimental method that combines first person viewpoint ethnography (auto-ethnography and duo-ethnography) with artefact analysis to support interpretation and narrative creation. The objective is to go beyond traditional approaches where narratives with pre-configured roles are presented to passive audiences for consumption. Instead we seek to enable opportunities for active, dynamic, remediation of user-generated content. 14:30–16:00 Hands on group session. Participants work in groups. Narratives, such as those produced when interpreting a cultural artefact, can be analysed in a number of ways. Narrative analysis can help to reveal additional meaning that may not be explicit in the narrative itself. This could help a reader to understand the narrative in greater depth or assist an author in extending the narrative in new ways. Narrative analysis can also identify common structures that can be found across a number of narratives. These can help to reveal what makes a good story as well as similarities and differences in how we share and understand stories. This session will introduce a number of ways in which narratives can analysed. This will include consideration of the following: (i) the events of the story, who is involved and when and where the events take place; (ii) the coherence of the narrative and the extent to which the events contribute to an overall story; (iii) the plot or overall structure of the narrative; (iv) the emotional content of the narrative and the emotional response it elicits in the reader; (v) the themes or intended meaning of the narrative, (vi) the timing of events and their position in the overall narrative. The session will also introduce some of the technologies that can be used to support narrative analysis, for example, tools for identifying entities (such as people, places, objects) from the text and the conceptual relationships between them, and tools for identifying the emotion or sentiment associated with the whole narrative or its parts. Ubiquitous, immersive and interactive multimodal media can be seen as a central element in the evolving character and construction of new Identities – or more precisely narratives of identities. Accelerated by technology, this process has become a multidimensional and multilayer phenomenon which spans through a web of emerging intertwined spheres and domains, encompassing inseparably the individual, the social and the cultural; in domains that go from private to public, from family to work, from local to national to regional to global, touching the many nuances of interest groups and stakeholders co-existing heterarchically in a globalized civil society. In this context, how can the interpretations of cultural heritage objects and processes – represented and mediated in digital culture – contribute to the establishment of new identities and novel narratives of the past? How can these processes influence the ways we interpret our time and imagine the future? Inspired in Juri Lotman’s Semiotic Theory of Culture, in this session we suggest a framework to investigate what the emerging narratives could be revealing about identity, creativity, innovation, knowledge, and imagination (of the future). Therefore, we cross the discussion of individual and collective narratives of identity with Lotman’s complex diachronic dynamics of meaning making and negotiation in the semiotic cultural space of the semiosphere, with its central notions of boundary and frontier, center and periphery, “us” and “them”, ins and outs, otherness and marginality. Concomitantly, we present the notion of technosphere as the interface between cognition and culture, and suggest empirical avenues to investigate narrative cognition and multimodal narratives in digital culture. 15:30 – 17:00 Summary presentations. Luis Emilio Bruni is Associate Professor at the Department of Architecture, Design and Media Technology, Aalborg University, an a recognized expert in bio-cognitive semiotics with expertise in interactive narratives, communication science, cognitive modeling and psychophysiological methods. He received a multidisciplinary international training (B. Sc in Environmental Engineering at the Pennsylvania State University; M. Sc in International and Global relations at Universidad Central de Venezuela; PhD in Molecular Biology and Biosemiotics at the University of Copenhagen), and has an extensive interdisciplinary scientific production and didactic experience. 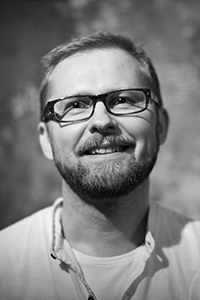 Currently, he directs the Augmented Cognition Lab at AD:MT-AAU, which is dedicated to the study of perception, cognition, affective states and aesthetic experience when interacting with complex stimuli and narrative content provided through immersive and representational interactive displays. He is the elected President of the Nordic Association for Semiotic Studies and is board member in the International Society of Biosemiotic Studies and in the International Society for Information Studies. Lily Díaz-Kommonen is Professor of New Media at Aalto University, School of Arts, Design and Architecture. Her research interests include the combined use of anthropology and new media to promote human-centered Her experience as principal investigator is in research and development projects in digital media and cultural heritage. She works primarily with qualitative methods, including design research and has written over 70 publications in areas related to art, design, heritage and new media. Ubiquitous Computing, Complexity and Culture an anthology published by Routledge in 2015 and co-edited with Ulrik Ekman, Jay David Bolter, Martin Søndegaard and Maria Engberg, is her latest result as an author. Paul Mulholland is a Research Fellow in the Knowledge Media Institute, The Open University, UK. He has been an investigator on a number of UK and international research projects related to technology enhanced learning, cultural heritage and digital archives. Previous work has included the research and development of: innovative applications for use by museum staff and visitors; mobile applications for formal and informal learning; automated narrative generation tools for education and entertainment; and semantic and knowledge technologies for learning in organisations. He has a first degree in psychology, a Masters degree in computing and PhD in cognitive science. He has published over 100 journal papers, conference articles and book chapters. He is Deputy Editor of the International Journal of Human Computer Studies. This entry was posted in Seminars on May 17, 2016 by Helinä Kuusela. on Tuesday the 24th May 2016 1-2 pm at Miestentie 3, room 429. Warmest welcome! 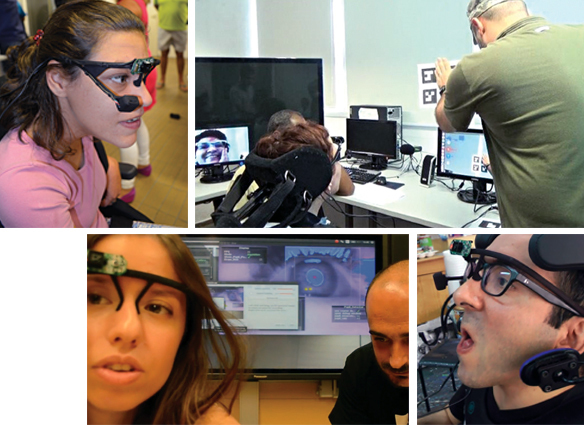 In this presentation I introduce the activities carried out in my research group GIIP (São Paulo State University, Brazil), focusing on the project “Digital and physical assistive interfaces for arts: From the diffusion to the inclusion”. I will show some partial results and comment how my work at Crucible Studio/Media Lab contributes to the project. The project brings together the efforts of several researchers from Brazil and Spain, including myself as a PhD student. It aims to create low cost and free access assistive interfaces to teach and make art. For this purpose we are investigating communication solutions for cases of quadriplegia that are associated with speech disability. We foresee, however, that the interfaces will be scalable and applicable to other types of disabilities or even different uses purposes. The creation process of these interfaces is inspired by the case study of Dr. Ana Amália Tavares Barbosa, as well as her teaching method in art education. Dr. Barbosa is artist, art educator and postdoctoral researcher at GIIP and became the first quadriplegic to obtain a doctorate degree in Brazil. This entry was posted in New Media, Practices, Science, Seminars, Theory on May 10, 2016 by Helinä Kuusela. 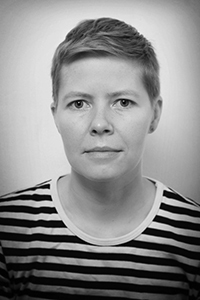 Heidi Hirsto, DSc(Econ), is post-doctoral researcher at Aalto University School of Business, Department of Management Studies, Unit of Organizational Communication. Her research interests lie in critical, discursive, and cultural approaches to organizational phenomena and business-society relations, and in the workings of economic rhetoric in different genres and social contexts. Her current research focuses on the role of emotion discourse in institutional work, and on mediated practices of economic citizenship in online environments. Her work has appeared in several edited books as well as scholarly publications, including Organization Studies; Consumption, Markets & Culture; and Equality, Diversity and Inclusion: An International Journal. She is currently visiting at Vienna University of Economics and Business, Institute for Organization Studies. This dissertation focuses on further developing financial news discourse skills of media audience as well as media professionals by researching narrative structures and elements within multimodal news dissemination online. This study maps and analyzes existing practices of multimodal financial news discourse, guided by the main research question: What kinds of narrative features and capacities are there in the digital domain for extending financial discourse skills for the news media and for the critical media audience? In other words, the study aims to identify and develop constructive narrative practices and multimodal solutions to be applied for financial news dissemination, as well as develop skills and tools for critical financial news literacy. The research questions related to the research material, audiovisual news narratives on Greek debt crisis in the mainstream media, are: How do the narrative structures and elements of the video reports and captioned stock photo slide shows create meanings of and facilitate civic voice and participation in financial discourses? How do the episodic and thematic approaches (Iyengar, 1991) and narrative components of the news texts reinforce or challenge the mainstream discursive coherence and the simplified binary constructions in the Greek debt crisis talk, and where and how do the citizens as characters stand in these settings? Through these more concrete secondary questions, the thesis answers the main research question, and identifies applicable, constructive narrative practices and multimodal solutions for financial news dissemination as well as develop knowledge and skills for critical financial news literacy. The research builds on the literature on narration (Abbott 2008; Herman 2007; Ryan, 2007, 2014), journalism and media studies (Baudrillard 1994; Bock 2012; Broersma 2010; Chouliaraki 2008; de Goede 2015; Jones 2009; Johnson-Cartee 2005, Karlsson 2010; Kovach and Rosenthiel 2014; Schudson 2001; Stephens 2014) and theories of multimodality and multimodal narration (Matthiessen 2006; O ́Halloran 2006, 2008, 2011; Page 2010). Moreover, the thesis draws on sociological (Somers & Gibson 1994) and psychological (Bruner 1986, 1990, 1991) perspectives on narrative, Iyengar ́s (1991) notions on episodic and thematic framing of news texts, and the literature on civic voice and participation (Couldry 2010; Dahlgren, 2000, 2011). Building on this theoretical framework, the study suggests a set of narrative features and principles for advancing narrative transparency and “panoramic”, financial news reporting, as well as constructive news discourse skills in the web-based media. The outcome of the thesis is twofold. It creates new knowledge on emerging practices for digital journalism, contributing to theoretical discourses on online journalism and media studies. Second, it develops and suggests concrete, innovative news text types, genres and narrative structures for online news media, aiming for further developing comprehensive and perceptive news narration and critical financial news discourse skills of the news audience. Keywords: Financial news discourse skills, economic citizenship, online news media, multimodality, constructive news narratives, narrative transparency, panoramic news narration. Abbott, H. Porter 2008. Cambridge Introduction to Narrative. Cambridge University Press. Baudrillard, Jean 1994. Simulacra and Simulation, The University of Michigan. Bock, Mary A. 2012. Newspaper journalism and video: Motion, sound, and new narratives», New Media & Society, 14(4): 600-616. Broersma, Marcel 2010. The Unbearable Limitations of Journalism – On Press Critique and Journalism’s Claim to Truth. The International Communication Gazette, 1748-0485; Vol. 72(1): 21–33. Bruner, Jerome 1990. Acts of Meaning, Harward University Press, Boston. Bruner, Jerome 1991. The Narrative Construction of Reality. Critical Inquiry, vol 18, no 1 pp. 1-21. Dahlgren, Peter 2000. The Internet and the Democratization of Civic Culture, Political Communication, 17:4, 335-340. Dahlgren, Peter 2011. Young Citizens and Political Participation: Online Media and Civic Cultures. Taiwan Journal of Democracy, 7(2): 11-25.
de Goede, Marieke 2015. Documenting financial assemblances and the visualization of responsibility. In Rens Van Munster & Casper Sylvest (eds) Documenting World Politics: A Critical Companion to IR and Non-Fiction Film. Routledge. 58-77. Herman, David (ed) 2007. The Cambridge Companion to Narrative. Cambridge University Press. Iyengar, Shanto 1991. Is Anyone Responsible? University of Chicago Press. Johnson-Cartee, Karen S. 2005. News Narratives and News Framing: Constructing Political Reality. Series: Communication, Media, and Politics.. Lanham, MD: Rowman & Littlefield Publishers, Inc.
Jones, Alex S. 2009. Losing the News: The Future of the News that Feeds democracy. Oxford University, Oxford/New York. 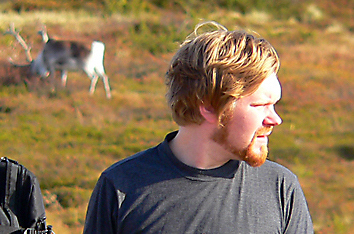 Karlsson, Michael 2010. Rituals of Transparency. Journalism Studies 11(4), pp. 535- 45. Kovach, Bill and Tom Rosenstiel 2014. The Elements of Journalism: What Newspeople Should Know and the Public Should Expect. Three Rivers Press. Matthiessen, Christian 2006. The multimodal page: a systemic functional exploration. In Bowcher Wendy and Terry Royce (eds. ), New Directions in Multimodal Discourse Analysis. Hillsdale, NJ: Lawrence Erlbaum Associates, 1-62. O’Halloran, Kay L. 2011. Multimodal Discourse Analysis. In Hyland, Ken, and Brian Paltridge (eds.). Continuum Companion to Discourse. London; New York. Continuum. 120-137. O’Halloran, Kay L. 2006. Multimodal Discourse Analysis: Systemic-Functional Perspectives. Continuum. O’Halloran, Kay L. 2008. Systemic functional-multimodal discourse analysis (SF- MDA): constructing ideational meaning using language and visual imagery. Visual Communication 2008/7. Sage 7(4): 443–475. Page Ruth (ed) 2010. Perspectives on Narrative and Multimodality, Routledge. Ryan, Marie-Laure 2007. Toward a Definition of Narrative. In D. Herman (ed). The Cambridge Companion to Narrative. Cambridge: Cambridge UP, 22–35. Schudson Michael 2001. The Objectivity Norm in American Journalism. Journalism: Theory, Practice and Criticism 2(2), pp. 149-70. Somers, Margaret R. and Gloria D. Gibson 1994. ‘Reclaiming the Epistemological “Other”: Narrative and the Social Constitution of Identity’, in Craig Calhoun (ed) Social Theory and the Politics of Identity, Oxford UK & Cambridge USA: Blackwell, 37-99. Stephens, Mitchell 2014. Beyond news: the future of journalism. New York Columbia University Press. During the last decade, the promises of networked digital media have started to realize. Time and location independent production, distribution and consumption of media content, together with social media participation are now reality for everyone with a computing device and an Internet connection. This socio-technological revolution has also made possible highly personalized and context-aware media services. My thesis focuses on designing and researching interactions that aim to provide new kinds of user experiences for contextual music recommendation and discovery through service concepts and prototypes. The main research objective is how to design enjoyable and rewarding music recommendation and discovery services that utilize contextual information from the interaction point of view? The underlying assumption of the study is that contextual information does matter and it is important to take this information into account when designing user experiences for music discovery and recommendation. One of the key concepts of the work is personalization, i.e. tailoring media content according to user’s preferences. Recommendation systems are a form of personalization, implemented in applications such as online dating and travel systems either by gathering information from the user automatically, or by user input. Another key concept, serendipity, i.e. making positive discoveries by chance is often enabled by well-designed recommendation services adopting personalization techniques. By music interactions I refer to the human-technology interactions with recorded music content. The concept of context refers to a certain frame within which something exists or happens. The importance of the concept is highlighted by the ability of modern mobile phones to adapt to and offer services tailored for the user situation. Location-awareness, achieved by global positioning system (GPS), wireless local area networks (WLAN), or radio signal measurement plays an important role in context-aware computing since it enables an accurate geographical positioning of mobile devices and their users. Indeed, positioning technologies embedded in the modern mobile devices enabled the first context-aware computing applications. Ubiquitous media can be used everywhere; the term became widespread with the adoption of mobile media and communication devices. The main motivation for developing and researching contextual music interactions stems from the fact that people have a wide variety of psychological and social uses and functions for music across a wide variety of situations. Given that people listen to different music in different situations lays a foundation for the argument that context factors really matter in designing interactive music services. With ubiquitous streaming services such as YouTube and Spotify, we have entered an era of second generation of digital music services where music tracks do not need to be downloaded but they can be consumed as a stream over the Internet. In most music consumption situations, physical discs or local music files are no longer needed. Today, when music is a truly ubiquitous commodity, it can be listened to in almost any situation, increasingly stressing the importance of context factors. This entry was posted in Seminars on May 6, 2016 by Helinä Kuusela.